My work is non-representational, however place is important for me in the making process. Nepal and the South of France have been such places and now I work for the most part out of doors with natural found tools and a limited range of materials in the North Norfolk landscape. 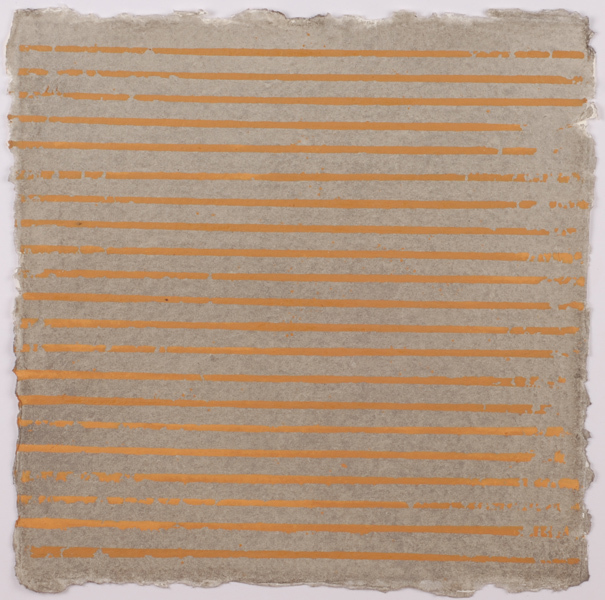 The works are on paper or unprimed canvas with the history of the mark making evident beneath layers of fine open textured Indian paper. I hope to be surprised by the outcome and at that stage to be uncertain exactly how the work had evolved. Geoffrey Lefever has exhibited in an exhibition of 4 abstract artists, his work is also included in mixed shows at Mandell’s Gallery.